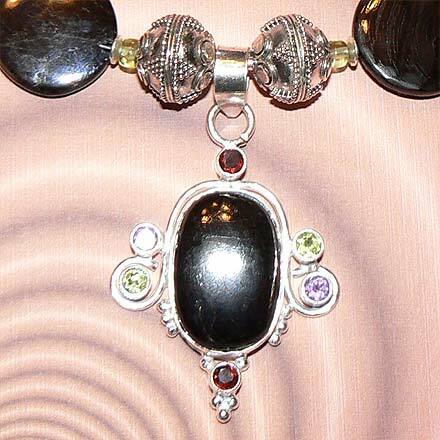 Sterling Silver Hypersthene, Garnet, Peridot and Amethyst Necklace. See Closeup. 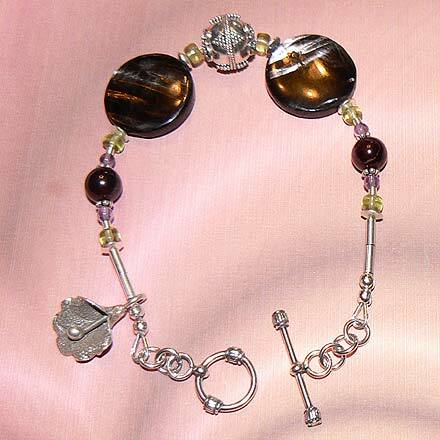 Sterling Silver Hypersthene, Garnet, Peridot and Amethyst Bracelet. 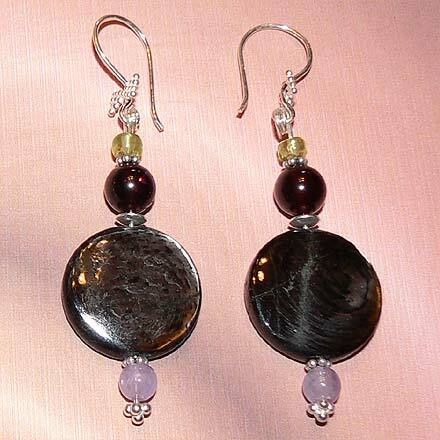 Sterling Silver Hypersthene, Garnet, Peridot and Amethyst Earrings. This stone is a rare find--Hypersthene. Like most stones with "3-dimensional color", i.e., stones with color changes like Moonstone or sheen like Pearl, it's hard to photograph in all its beauty. 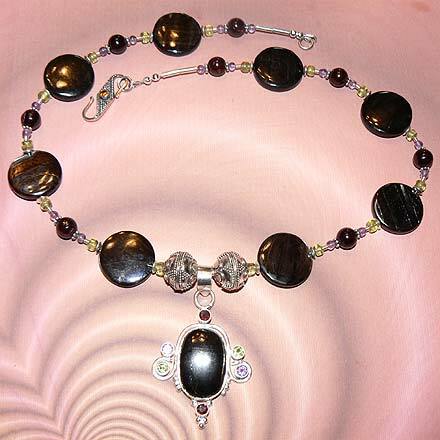 The closest I can describe is a very dark-brown cross between Tiger Eye and Mother of Pearl. Very unusual...you won't be disappointed.